Where can we take you in the capital? Too many places to count! 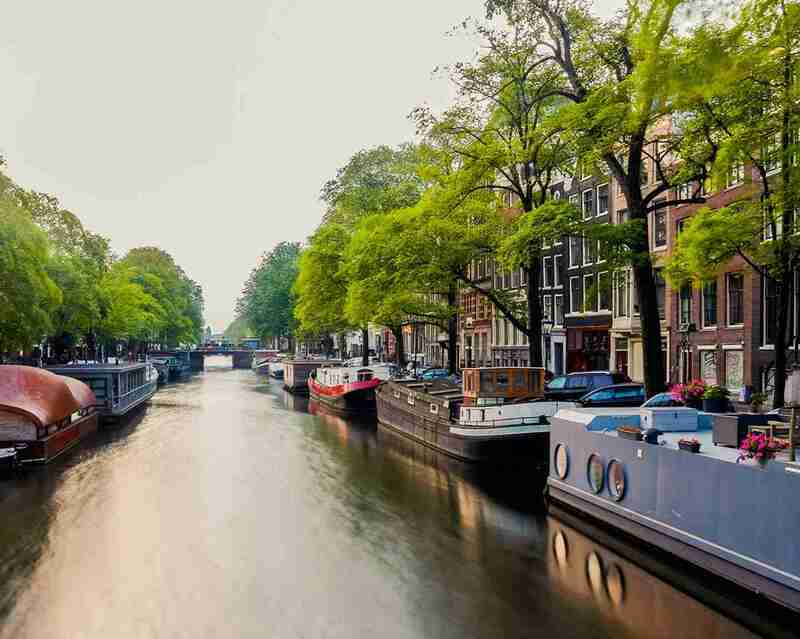 Start with a cruise through the Amsterdam canals to take in the city atmosphere. From there, hop onto a voyage of discovery around the Jordaan’s cozy shops, magical markets and brown cafes. Finish up by refreshing your cultural knowledge at the Van Gogh Museum and ending the day with a relaxing walk in the beautiful Vondelpark. Are you taking the train to Rotterdam? A sensible choice, because that way you can avoid looking for a parking space, while an Uber ride at the other end makes for an easy transfer to your first destination. Head to Parkhaven for a trip with the amphibian bus or see some art at the Kunsthal, the Nederlands Fotomuseum or the Van Nelle factory for a more cultural experience. If you have a day trip planned out with a friend, you can use the Multiple Destinations feature to pick up your friend on the way to your first activity—very handy! In The Hague there is something for everyone. Architecture? Check. Atmospheric cafes and lively clubs? Check. And with just a 5-minute ride, you can enjoy the sun and sea at the beach of Scheveningen too. It’s easy to find out how much a ride to the beach will cost: use this tool for an estimate of the fare, starting from the Grote Markt or anywhere else in The Hague. Eindhoven is an ideal place to spend a free day or weekend, and another city where Uber can help make it happen. Take some time to relax in the Genneper Parks or the Stadswandelpark before heading off for some DIY brewing at the Bottle Distillery, with no need to worry about the ride home after. Don’t forget to pay a visit to the trendy shopping center Urban Shopper either, where you can stroll around all kinds of small, unique shops and boutiques with innovative concepts. Utrecht is the place to be if you want to explore something new. Climb the 465 steps of the 112-meter high Dom Tower to survey the city from above, or step into the magical and musical world of Museum Speelklok. If you want to see something really unique, then book a guided tour of the Rietveld-Schröder House. When you see it, you’ll hardly believe that this stunning example of the De Stijl form of architecture was built in 1924. This UNESCO World Heritage site is a little difficult to find, but we’re happy to help with that: book a ride through the app, and a driver can get you there quickly. So, whether you’re planning to visit Amsterdam, Rotterdam, The Hague, Eindhoven or Utrecht—or perhaps all five—Uber can help make sure you don’t miss a thing on your trip. Wherever you are, a driver can pick you up to get you from A to B, it’s that simple.